LoA met with this entrepreneurial change-maker in Windhoek recently to find out more. 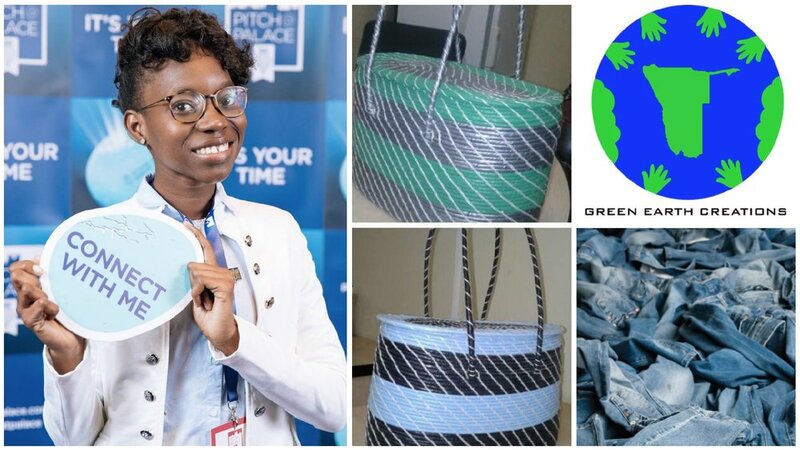 Green Earth Creations cc Namibia, is a recycling manufacturer that transforms waste into different types of useful products. The company’s vision is to be the country’s trend setter in the recycling manufacturing industry. The most famous product created so far by Green Earth Creations is the green denim shopping bags that promote zero plastic wastage. These bags are durable, strong, reusable and stylish, and appealing for both men and women to use. The bags are produced in different sizes to meet all consumer needs. 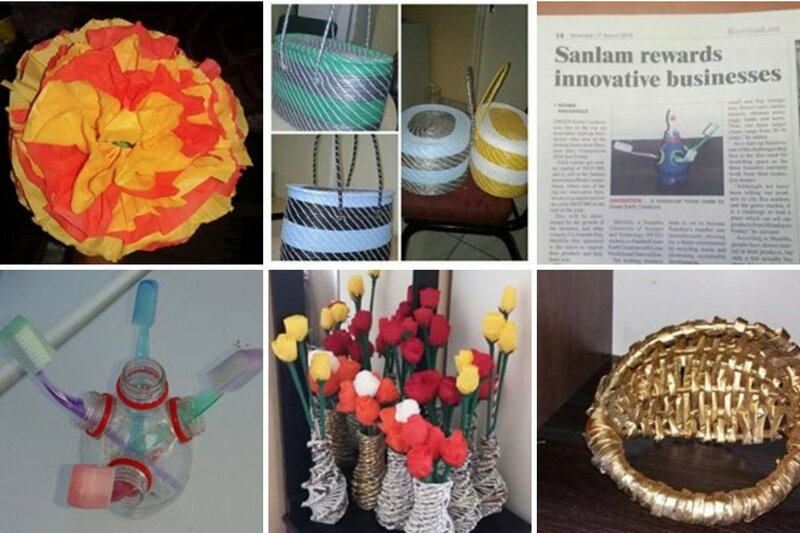 The company also harnesses its recycling expertise to turn old unwanted newspapers into attractive gift hampers, flower vases, stationery holders, and baskets. It also successfully recycles socks into the source materials used to produce a range of children’s toys and other soft material products. My inspiration came as a result of the growing problem of how to deal with waste in our lives, combined with the ever increasing land size of waste dump site areas. The plastic pollution that is concentrated on the earth is now at such levels that we have more plastic on earth than we have human beings. My desire to bring a practical solution to the waste management problem in the community, and to be able to provide decent jobs for other people, inspired me to become an entrepreneur. Of course, making good money in the right way was also a source of inspiration. Our products are tastefully designed and supported with a unique story of the eco-friendly solutions that inspired the business. Having almost the entire world going green and being environmental awakened is what drives us on our mission. Our strong, impact driven story only services to give our products an advantage over other products in the marketplace. Our artistry, innovation and creative talents transform waste into beautiful and practical products that definitely give our customers that ‘wow’ moment. Our products are available at the most affordable prices, and are stylish enough for our customers to use them every day, such as our range of beautiful ladies bags. Our range of decorative products carries our unique sense of style, created by our innovative and talented team, all in colours to suit every personality and occasion. We believe that our brand and our strong back-story also gives us a competitive advantage in the marketplace which will help us compete against our non-branded competitors. Our brand symbolizes everything we are – green, caring for the earth, and creators (our team), hence our motto Our Creation, Our Pride. My team is made up of young innovators and creative varsity students, together with four adults who are professional tailors and who make up the shopping bags. Our range of ladies stylish bags are made by a young Elliptical girl, and our bags showcased during the Pitch at Palace event received some good compliments. We are looking at training some young people to join her, to increase our production capacity. My team of varsity students, together with myself, are engaged in collecting waste from different points and transforming this waste into new products. The team is composed of nine individuals in total, all of whom are working together to achieve a common goal - to recycle, reuse, reduce and re-purpose waste. The team is very ambitious and looking forward to building a growing network with companies that would like to do business with Green Earth Creations. The journey is not an easy one at all. We had good seasons and not so good seasons. In 2016, we won the Sanlam Innovation Works of the Year competition and made some pretty good sales that same year though our range of newspaper and plastic bottle recycled products. 2017 was a quite a year for Green Earth Creations, bringing a lot of challenges that really tested us, but as always, we emerged victorious. The year did not result in good sales, and to make things more difficult, our local bank where we banked as a company got liquidated and we lost a total of N$ + 25 000.00. 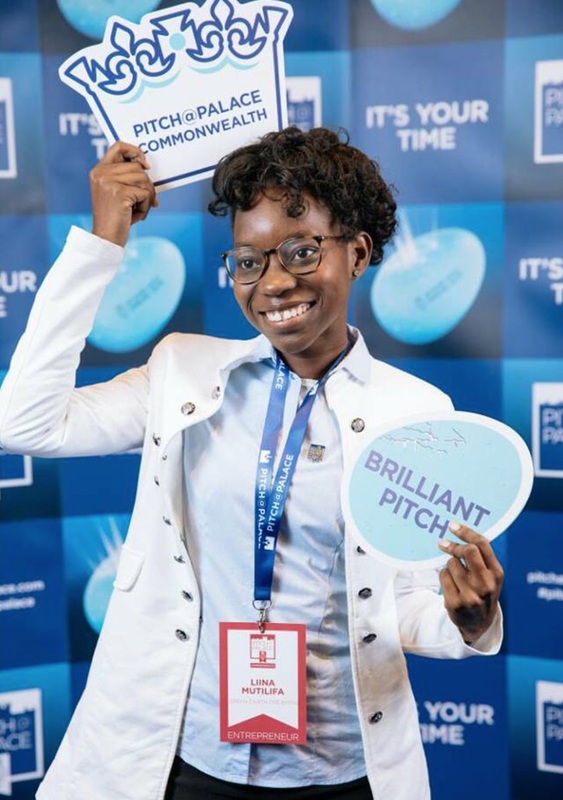 But, in 2018 we rose again and went as far as being invited to pitch our business at the Queens Palace in London to a group of investors. The experience was unforgettable and although we did not get any investors as a result of the event, we continued our journey fearlessly until today. We than launched our shopping bag project earlier this year with a vision of curbing plastic bag waste in Namibia. These bags are very stylish and right now they are our number one selling products, but we are still keeping the rest of our products on the market. This was a great experience and we learned quite a lot on this journey. We are encountering different challenges in the business, but we keep moving on. We have a choice to learn from the experience and turn it into a stepping stone to the next level. Going forward, we are hoping to saturate the local market with our bags and products. We also have our range of stylish ladies bags that are doing very well and we need to train more people to learn how to make these bags and hopefully be able to export the to other markets in the very near future. We want to be the trend setter in the recycling industry through our shopping bags and other products. We want to produce all the shopping bags that will substitute plastic usage in our country and expand to neighboring countries, while at the same time carrying along our multi-purpose recycled products. Short term goal: Identify which of our products is doing well and concentrate our efforts on how to improve them and increase their distribution across Windhoek. We want to break sales records with our products. Medium term: Establish a workshop for mass production and sell our products to other Namibian markets including neighboring countries. Long Term: Serve the entire African continent with our products. Being a solution provider to the local community. After all, being a problem solver is what makes an entrepreneur. Women Arise, shine and take over. This is our time to show our true potential in business and be record breakers. Lets birth truly generational businesses that create new multi-millionaires of the future. If one woman makes it in business, then we all can make it in our own unique spaces. Remember each one of us will shine in our destined area of expertise and business. So each one of us needs to identify their true passion in business and dominate in their chosen area, and become the market leader in that area. As for me, I found my space in the recycling sector, and I am sure that each one of us as women entrepreneurs will find their space in a different area. We all have a different purpose in life, one which will impart our knowledge and expertise for the benefit of society in a different way for the benefit of all the people.